In the wake of Hurricane Sandy, Peekaboo Photo Booth offers discounts for New Jersey Residents in an effort to get their spirits up. We love New Jersey and the people belonging to that great state and want to do what we can to help people get their life’s back. Peekaboo Photo Booth has announced $200 off the standard price and a free scrapbook for New Jersey residents of in the wake of Hurricane Sandy. This includes New York, New Jersey, Pennsylvania, Delaware, Washington DC, Connecticut, Rhode Island, and Massachusetts. Portable Photo Booths have exploded on the party scene over the past few years and now has become a staple in party entertainment and hosting services. In the past a big party would have a DJ or band, now photo booths have been included into this tradition. Peekaboo Photo Booths enable the party goers to take candid photos and instantly have them printed, providing an instant memory of the moment. “We love New Jersey and the people belonging to that great state and want to do what we can to help people get their life’s back.” The New Jersey photo booth rental business has exploded over the past 4 years. 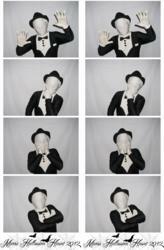 For more information, please visit http://www.peekaboophotobooth.com or contact Andrew Birr at 1-800-752-2313. With more than five years of experience, Peekaboo Photo Booth has completed more than 1,000 successful events. The company offers classy, cabana-style booths that are easy to set up and simple to use. Based in Winter Park, Fla., Peekaboo Photo Booth is a privately-owned firm that offers services nationwide. In addition to operating in the New York City area, the company also has a presence in the following metropolitan areas: Orlando, Tampa, Miami, Los Angeles, San Francisco, San Diego, Phoenix, Houston, Dallas, Chicago, Washington D.C., Philadelphia, Boston, Atlanta, Seattle and Detroit. Peekaboo Photo Booth has been in the Photo Booth Rental Business for over 5 years and celebrates a nationwide footprint.